In this way compartment of refrigerator cools. Convention is the process of heat transfer through the movement of matter , usually a gas or a liquid . In refrigerator , convention current occurs through the use of refrigerant gases and a compressor .Refrigerant readily absorb heats from the freezer and provide refrigeration , it also transitions from a low pressure gas to a high pressure liquid . 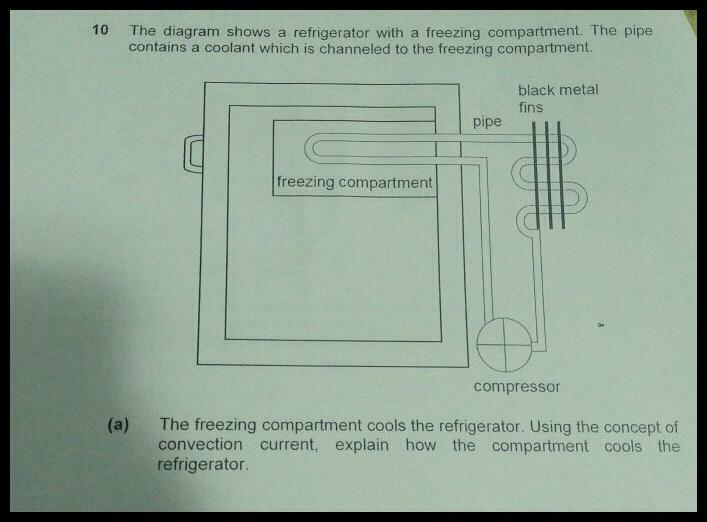 In compressor , the gas is circulated through the copper lines inside of the refrigerator or freezer compartment . The lines , and the gas contained within them , absorb heat contained in freezer compartment and are circulated back outside of the unit , this unit is compressed refrigerant gas using compressor outside of refrigerator .As gas is compressed it is discharged heat absorb inside the food compartments into room.